Login to Plesk Control panel with your Plesk user login information. 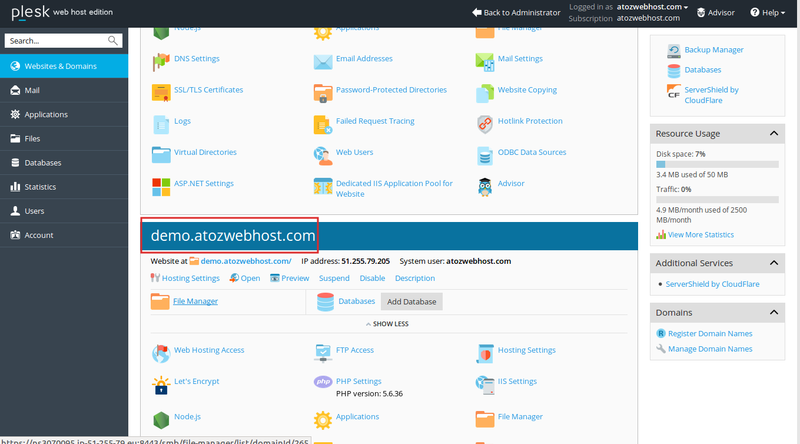 Once you logged in Plesk control panel under Websites & Domains click on “Add Subdomain” button. In the Subdomain name box, type the portion of the address that will be added to the domain name of your main site. The new Subdomain name is now showing in the list at the bottom of the screen. In the confirmation window, click “Yes” to remove the website including all the data.